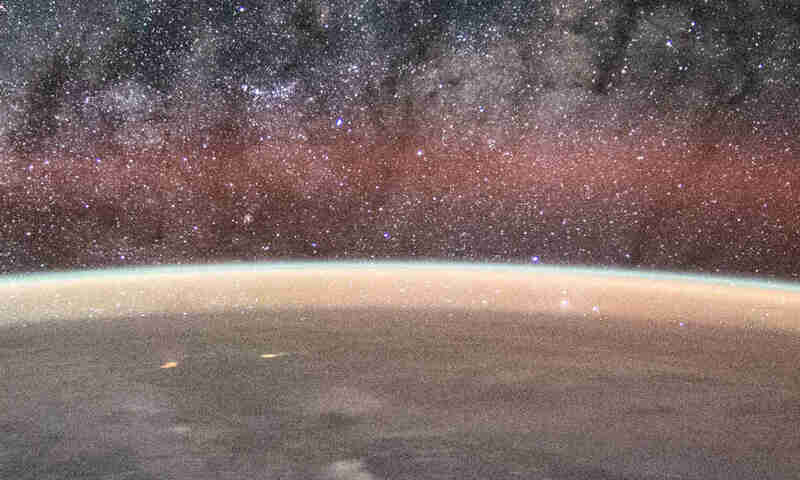 The thermosphere is a layer of the Earth’s atmosphere from about 95 km­ to 600 km. It is named ‘thermosphere’ because its temperature increases with altitude. The temperature in the thermosphere can reach 2500°C. However, air density in the thermosphere is very low to the point that heat conduction practically does not occur. Objects in the thermosphere will feel cold. 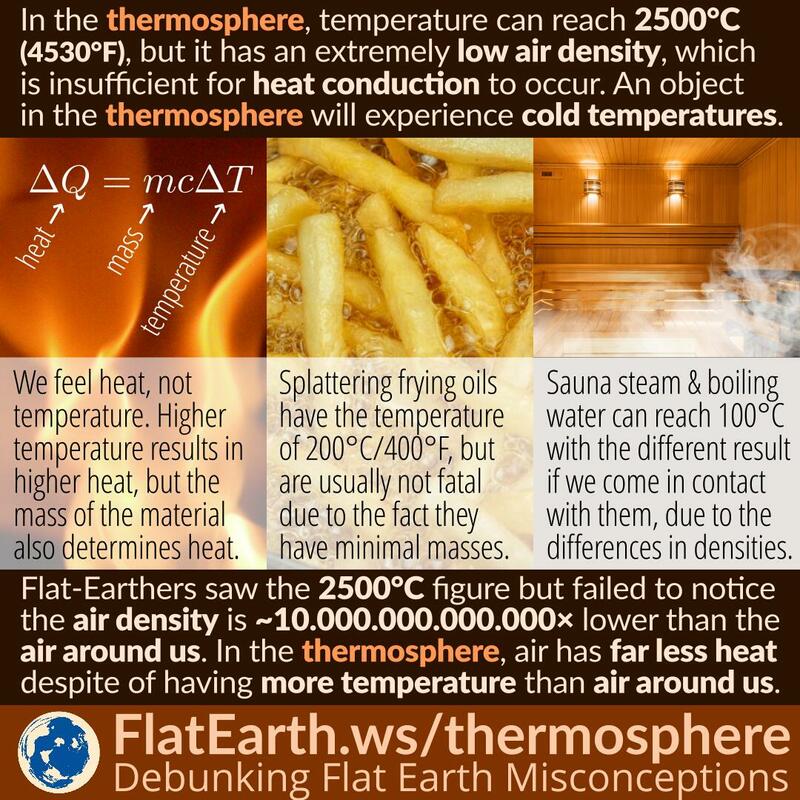 Flat-Earthers discovered that the temperature in the thermosphere could reach 2500°C. They are happy to ignore the other information which usually accompanies it: the air density up there is also far lower. The mass of the Earth’s atmosphere is concentrated in the lowest layers. 90% of all mass is below 16 km. 99.99997% is below 100 km. The thermosphere itself begins from 95 km upwards to about 600 km, and only 0.002% of the mass of Earth’s atmosphere resides in the thermosphere. Heat transfer is directly proportional to the difference of temperature and mass. Air molecules in the thermosphere may have 10× higher temperature than at the surface of the Earth. But at the same time, its density is 10.000.000.000.000× lower. As a result, it has less heat energy per unit volume compared to our bodies. We would not feel warm in the thermosphere, and a regular thermometer will indicate below 0°C. The situation is not unlike if we get hit by splattering hot frying oil. Usually, it is not a big problem. The splattering oil has the same temperature as the boiling oil in the pan: it can reach 200°C/400°C! But at the same time, it has very little mass, unlike the oil in the pan. The steam in some saunas can reach 100°C, the same temperature as boiling water. But we feel far less heat from sauna than from boiling water. The reason is that the density of steam is far less than that of water in the liquid form. Sparks that are produced by lighter flints, grinding wheels, or sparklers can actually reach 1600°C. But it usually not a big problem for us because the mass is minuscule compared to our bodies.